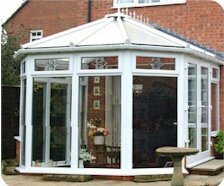 Victorian conservatory with full height panels, A rated argon filled glass, A rated Liniar profile. 2 Opening Windows , 1 set of French doors as standard. 3.0m wide x 3.0m projection lean to conservatory if you require a size smaller please enter the external brick owrk size..
Victorian conservatory with full height panels, A rated argon filled glass, A rated Liniar profile. 2 Opening Windows , 1 set of French doors as standard. 3.0m wide x 3.5m projection lean to conservatory if you require a size smaller please enter the external brick owrk sizes ..
Victorian conservatory with full height panels, A rated argon filled glass, A rated Liniar profile. 2 Opening Windows , 1 set of French doors as standard. 3.0m wide x 4.0m projection lean to conservatory if you require a size smaller please enter the external brick owrk size..
Victorian conservatory with full height panels, A rated argon filled glass, A rated Liniar profile. 2 Opening Windows , 1 set of French doors as standard. 3.0m wide x 4.5m projection lean to conservatory if you require a size smaller please enter the external brick owrk size..
Victorian conservatory with full height panels, A rated argon filled glass, A rated Liniar profile. 2 Opening Windows , 1 set of French doors as standard. 3.5m wide x 3.0m projection lean to conservatory if you require a size smaller please enter the external brick owrk size..
Victorian conservatory with full height panels, A rated argon filled glass, A rated Liniar profile. 2 Opening Windows , 1 set of French doors as standard. 3.5m wide x 3.5m projection lean to conservatory if you require a size smaller please enter the external brick owrk size..
Victorian conservatory with full height panels, A rated argon filled glass, A rated Liniar profile. 2 Opening Windows , 1 set of French doors as standard. 3.5m wide x 4.0m projection lean to conservatory if you require a size smaller please enter the external brick owrk size..
Victorian conservatory with full height panels, A rated argon filled glass, A rated Liniar profile. 2 Opening Windows , 1 set of French doors as standard. 3.5m wide x 4.5m projection lean to conservatory if you require a size smaller please enter the external brick owrk size..
Victorian conservatory with full height panels, A rated argon filled glass, A rated Liniar profile. 2 Opening Windows , 1 set of French doors as standard. 4.0m wide x 3.0m projection lean to conservatory if you require a size smaller please enter the external brick owrk size..
Victorian conservatory with full height panels, A rated argon filled glass, A rated Liniar profile. 2 Opening Windows , 1 set of French doors as standard. 4.0m wide x 3.5m projection lean to conservatory if you require a size smaller please enter the external brick owrk size..
Victorian conservatory with full height panels, A rated argon filled glass, A rated Liniar profile. 2 Opening Windows , 1 set of French doors as standard. 4.0m wide x 4.0m projection lean to conservatory if you require a size smaller please enter the external brick owrk size..
Victorian conservatory with full height panels, A rated argon filled glass, A rated Liniar profile. 2 Opening Windows , 1 set of French doors as standard. 4.0m wide x 4.5m projection lean to conservatory if you require a size smaller please enter the external brick owrk size..
Victorian conservatory with full height panels, A rated argon filled glass, A rated Liniar profile. 2 Opening Windows , 1 set of French doors as standard. 4.5m wide x 3.0m projection lean to conservatory if you require a size smaller please enter the external brick owrk size..
Victorian conservatory with full height panels, A rated argon filled glass, A rated Liniar profile. 2 Opening Windows , 1 set of French doors as standard. 4.5m wide x 3.5m projection lean to conservatory if you require a size smaller please enter the external brick owrk size..
Victorian conservatory with full height panels, A rated argon filled glass, A rated Liniar profile. 2 Opening Windows , 1 set of French doors as standard. 4.5m wide x 4.0m projection lean to conservatory if you require a size smaller please enter the external brick owrk size..
Victorian conservatory with full height panels, A rated argon filled glass, A rated Liniar profile. 2 Opening Windows , 1 set of French doors as standard. 4.5m wide x 4.5m projection lean to conservatory if you require a size smaller please enter the external brick owrk size..
Victorian conservatory with full height panels, A rated argon filled glass, A rated Liniar profile. 2 Opening Windows , 1 set of French doors as standard. 5.0m wide x 3.0m projection lean to conservatory if you require a size smaller please enter the external brick owrk size..
Victorian conservatory with full height panels, A rated argon filled glass, A rated Liniar profile. 2 Opening Windows , 1 set of French doors as standard. 5.0m wide x 3.5m projection lean to conservatory if you require a size smaller please enter the external brick owrk size..
Victorian conservatory with full height panels, A rated argon filled glass, A rated Liniar profile. 2 Opening Windows , 1 set of French doors as standard. 5.0m wide x 4.0m projection lean to conservatory if you require a size smaller please enter the external brick owrk size..
Victorian conservatory with full height panels, A rated argon filled glass, A rated Liniar profile. 2 Opening Windows , 1 set of French doors as standard. 5.0m wide x 4.5m projection lean to conservatory if you require a size smaller please enter the external brick owrk size..